GMC Law | Doctors Defence Service – UK. The General Medical Council (GMC) is the regulatory body for medical doctors in the UK. This Doctors Defence Service website interprets GMC law for doctors and provides guidance on GMC processes and requirements. In particular, Doctors Defence Service provides guidance to doctors about the various regulatory law processes of the GMC. This website provides guidance on GMC statute law; GMC statutory rules; GMC fitness to practise law; GMC interim orders case law; which makes up the body of law known as GMC law. This website provides in depth guidance to doctors on GMC law: fitness to practise law, regulatory law, registration law, medical law and policy. See our sitemap for a list of all of our pages, or use the menu on the left to navigate around this website. You can also use our search facility to track down the information you are seeking. If you to not see information here about the subject you are looking for, do contact us. 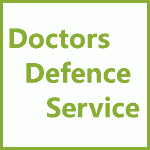 Doctors Defence Service provides legal advice on GMC Law to medical doctors in the UK and abroad. Contact us in strict confidence on 0800 10 88 739 to discuss any aspect of GMC law. Read our GMC Law FAQs for additional information about our legal services for doctors.